This week, I went running. I’m back! Monday was my first run after my 3 week break, and it was just delightful! 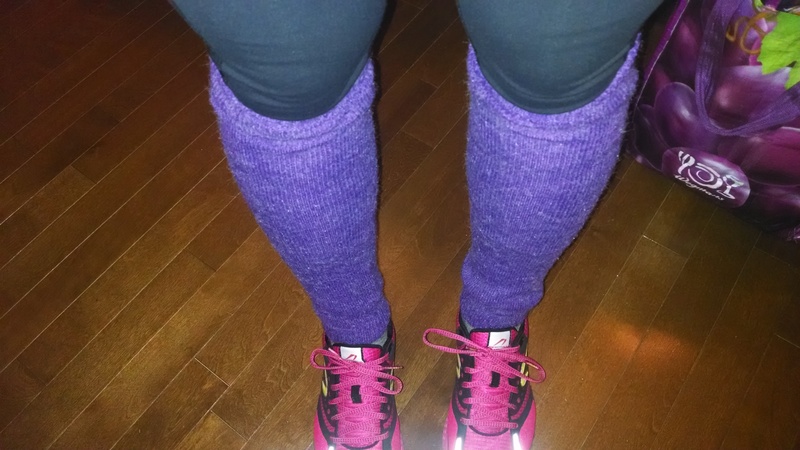 I ran in legwarmers. I had worn them to work, and they were soo comfy! I was let out of work early because of the impending storm, so I was able to head outside for (probably) one last outdoor run of the season. I planned to take it easy for 20 minutes and just see how everything felt. My goal was to have fun, and not push it. It would be totally insane to get hurt by coming back too fast from an “injury prevention” break. You can’t even tell it’s about to blizzard, right? 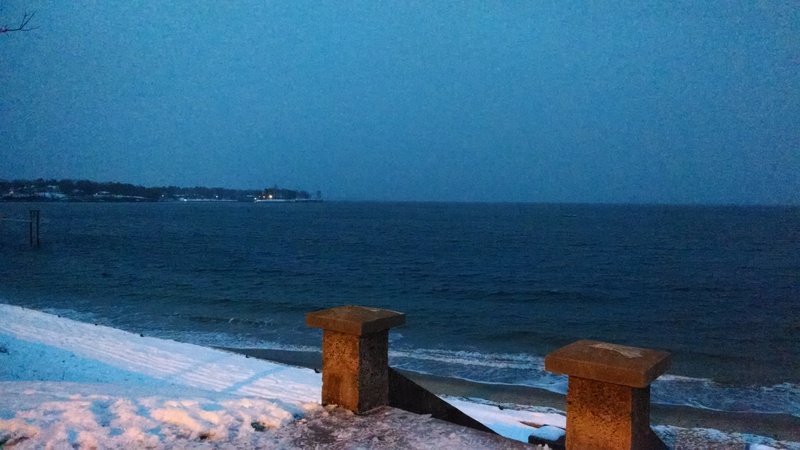 By the time I had reached the beach, the wind was kicking it up a notch, but it didn’t really start snowing until after I had made it back from my run. I ended up with about a mile and a half for my 20 minutes. I took it slow, and there was a fair amount of slowing down for ice, pictures, and snowman investigation. I saw 3 other runners (one who waved and said “what blizzard”…haha…it was on it’s way dude), all trying to get in one last run before the storm. It wasn’t much of a run, but it was certainly fun, and that’s exactly want I was looking for. After that first run back, I ran twice more (both on the treadmill) to bring my weekly total to 3 runs (and just over 12 miles). Wednesday’s run felt pretty tough, but Saturday’s went really well. I’m obviously not at my fastest, but I’m pretty happy that running doesn’t feel awful. ← Where does my heart beat now? Welcome back! I’m not much of a winter outdoor runner, not necessarily because I wouldn’t like it, but because of daylight constraints. Congrats on getting back out there! 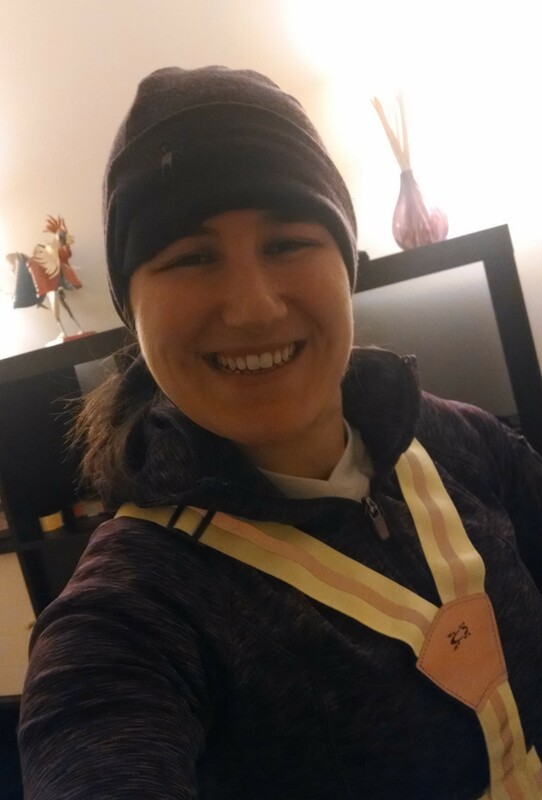 I’m not a fan of running the cold and dark – so I haven’t gotten outside in a while. It’s just been too cold for me. I can’t even remember the last time I built a snowman. We haven’t gotten much snow this year, but this would be the year that my daughter would be into it. I don’t really like running in the dark, either, but I usually stick it out until the condition of the sidewalks deteriorates. Then I stay inside until it gets warm enough for the snow to melt. 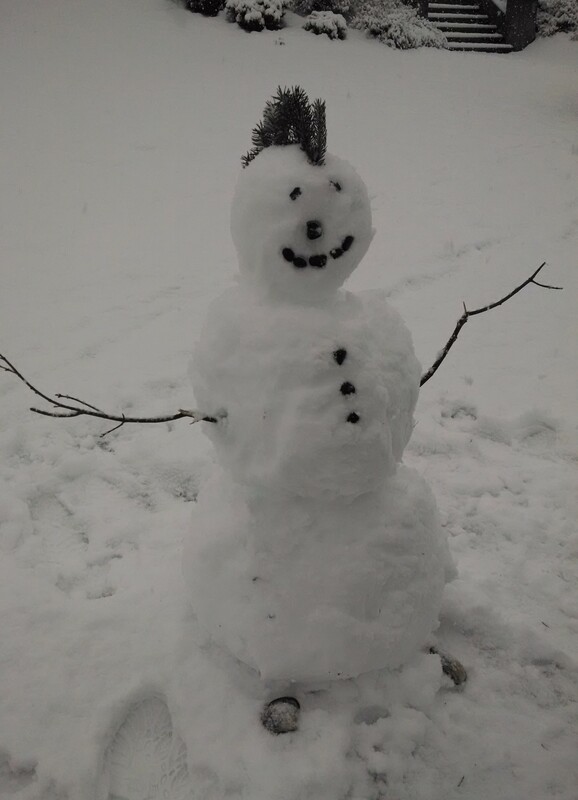 The snowman was really fun to make, I definitely recommend it when you get some snow! I don’t know if I can rebuild Snowbert, I actually think there is too much snow! haha As far as blizzard running, my tips: get out there while it’s still light out and before the snow starts to accumulate! 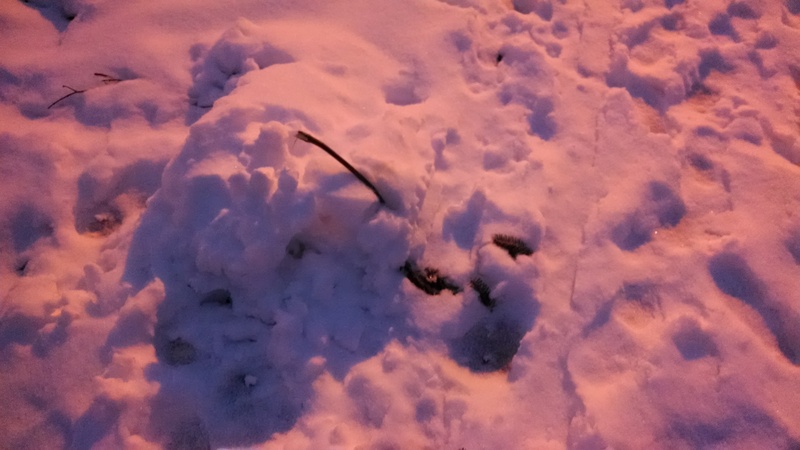 Sorry your snowman melted, but yay for getting in an outdoor run! I made a mini snowman on Christmas and it was so much fun! I’m sure he’s melted by now though.